Increase students’ engagement with their programme. Help students develop the skills to make them effective independent learners. Help students improve their grades and reduce drop-outs. Model effective study skills for students. Help students gain a better understanding of the course content. Help students discuss ideas to find their own solutions to questions and problems. Submit your reflections on Mahara for each month you work. 200-400 words. 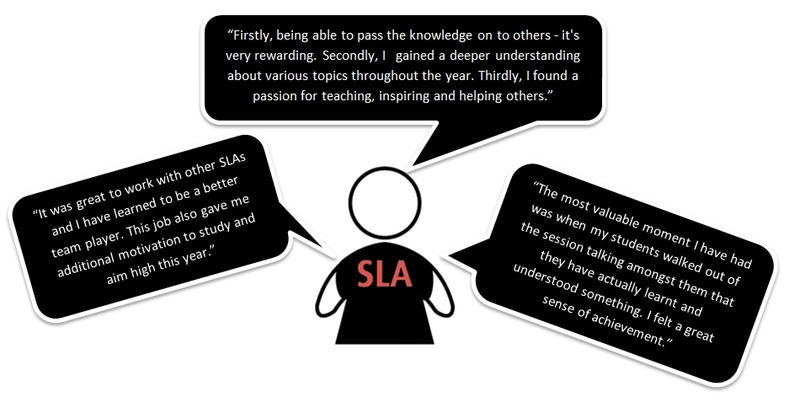 What previous SLAs have said about their experience? For further enquiries email SLA@mdx.ac.uk, or visit the PAL office 10am-12pm Monday-Friday at HL201, Learning Support Zone @ Hendon Public Library.